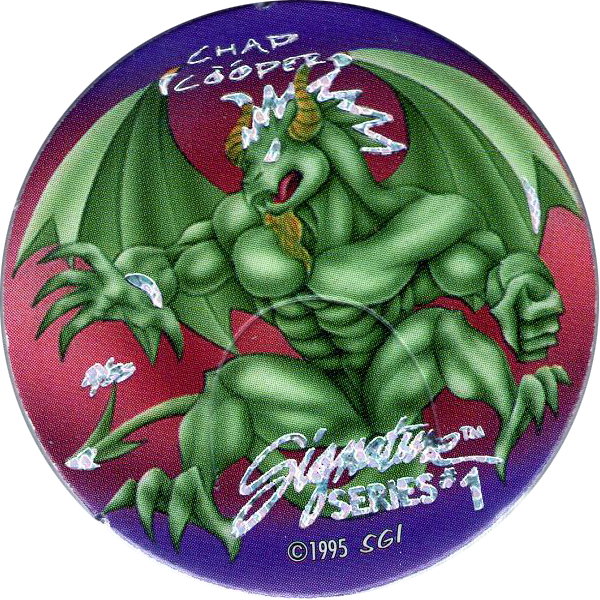 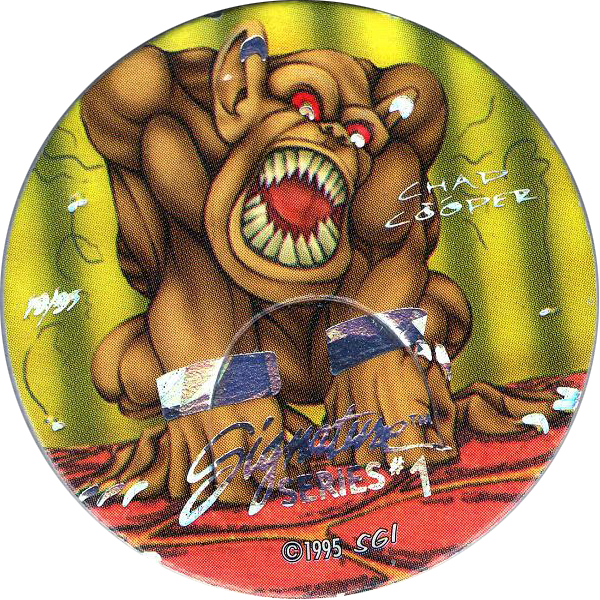 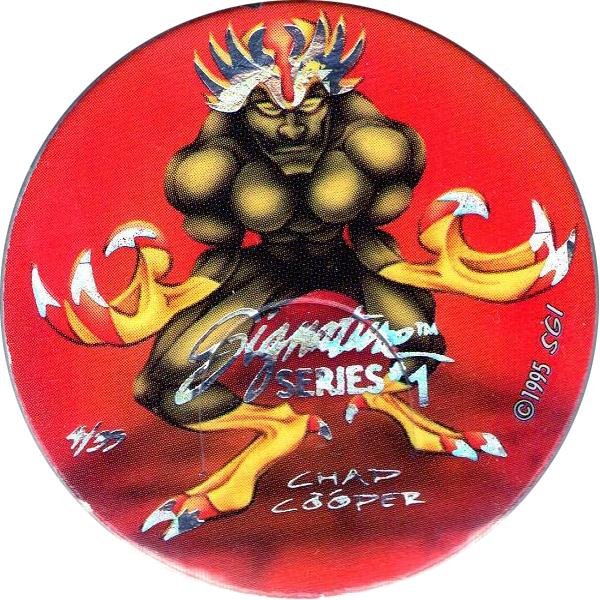 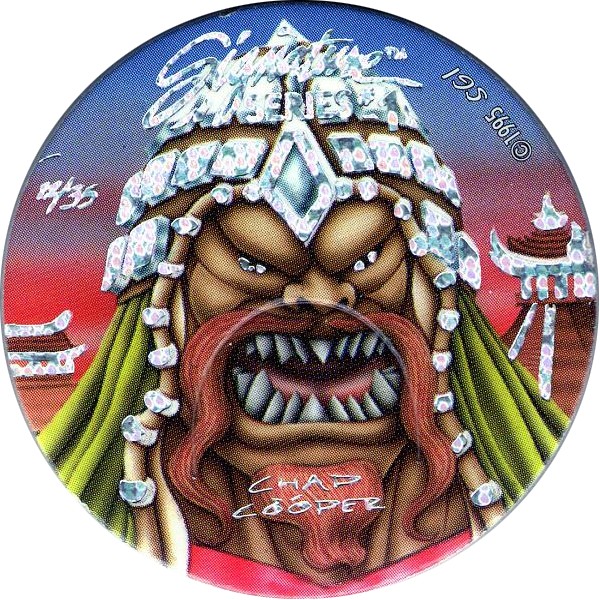 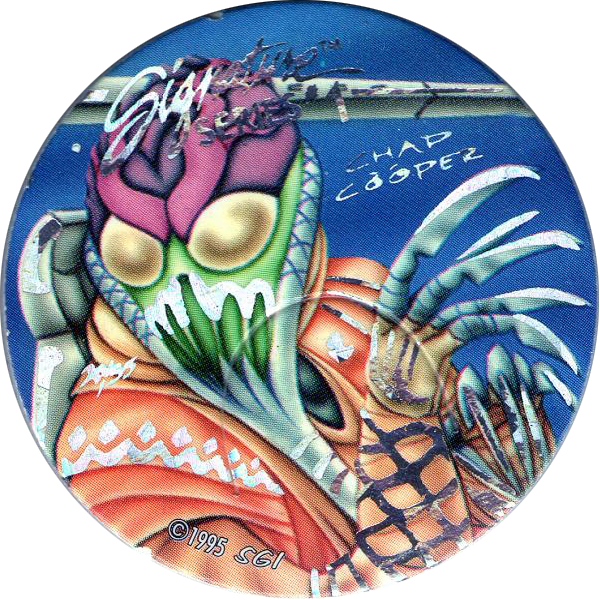 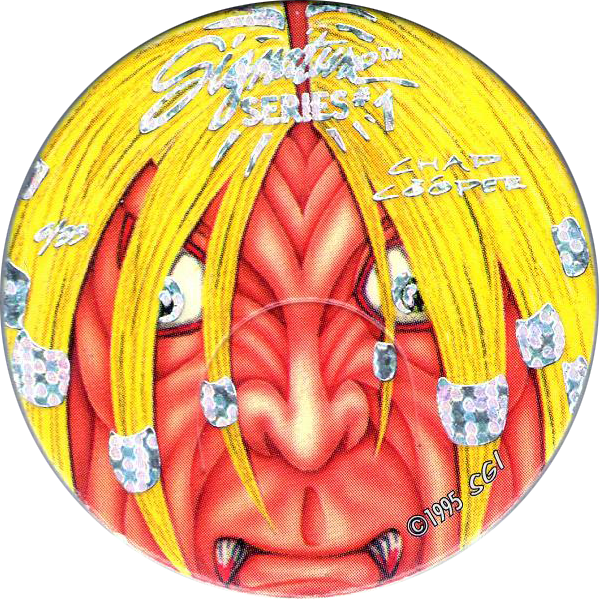 Info:These pogs feature Comic style characters, with the signature of Chad Cooper (presumably the artist). 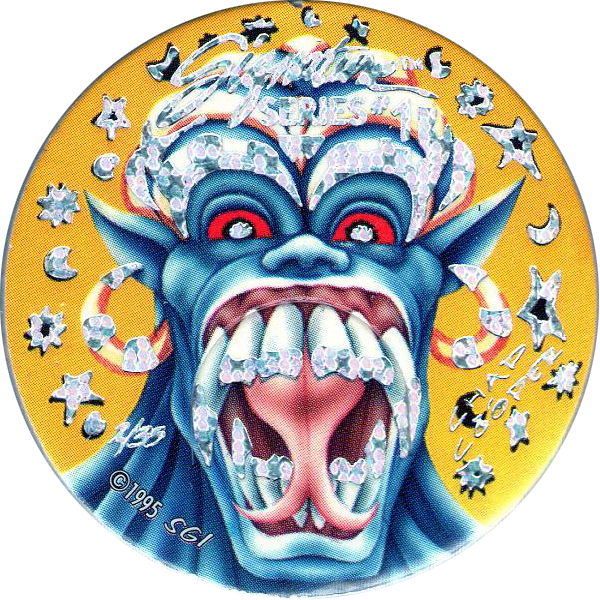 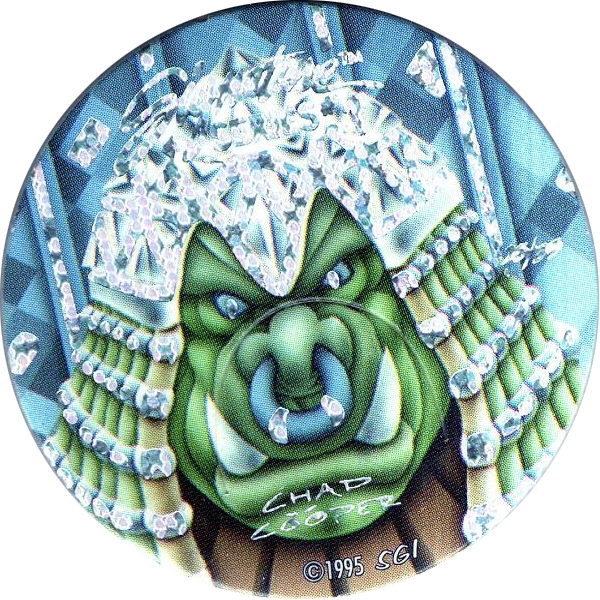 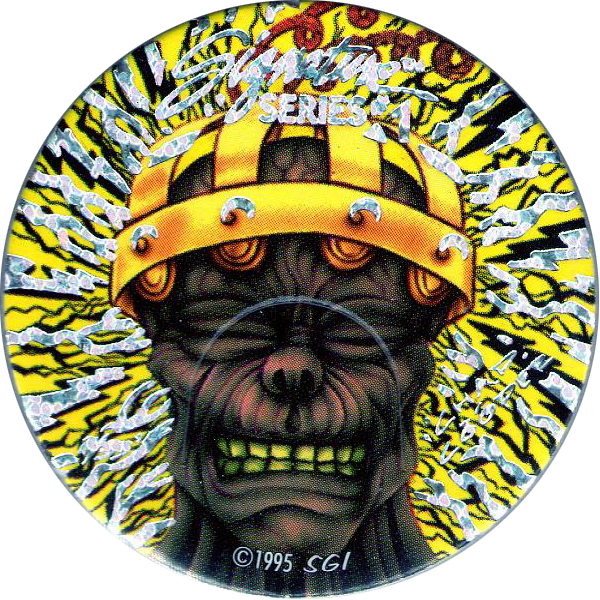 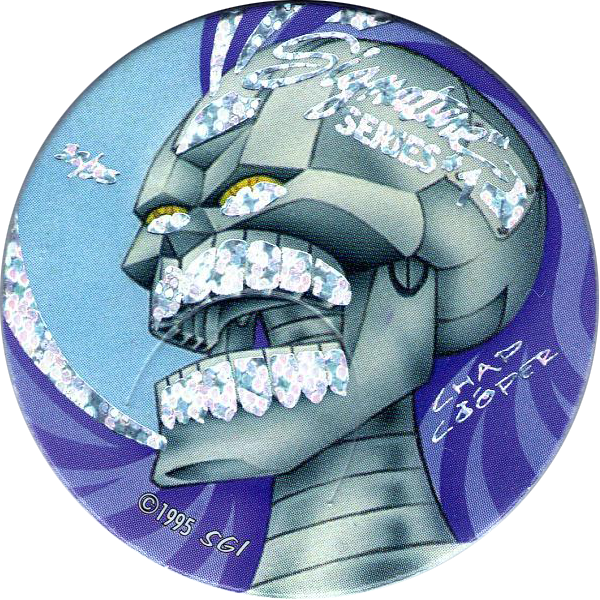 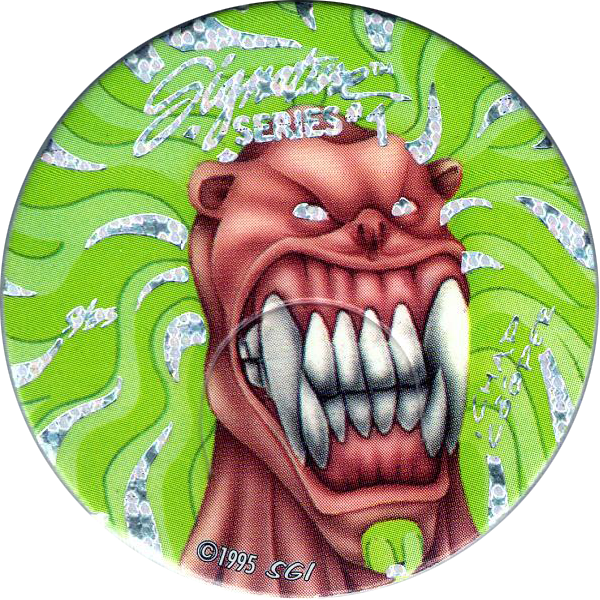 Each pog has pieces of holographic foil overlayering parts of the image. 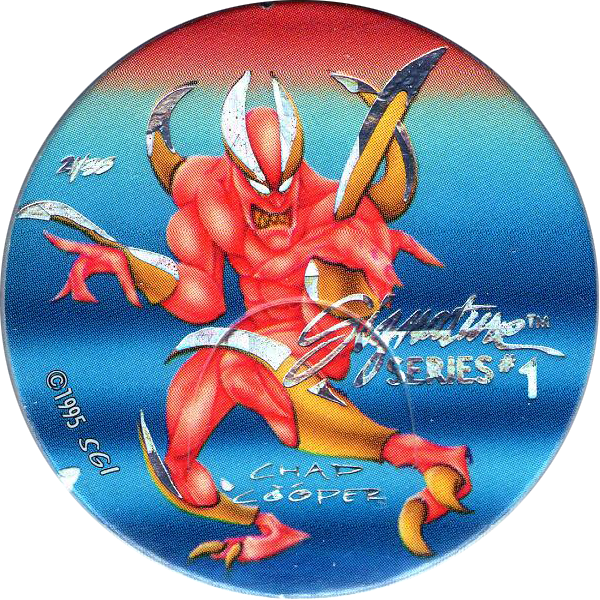 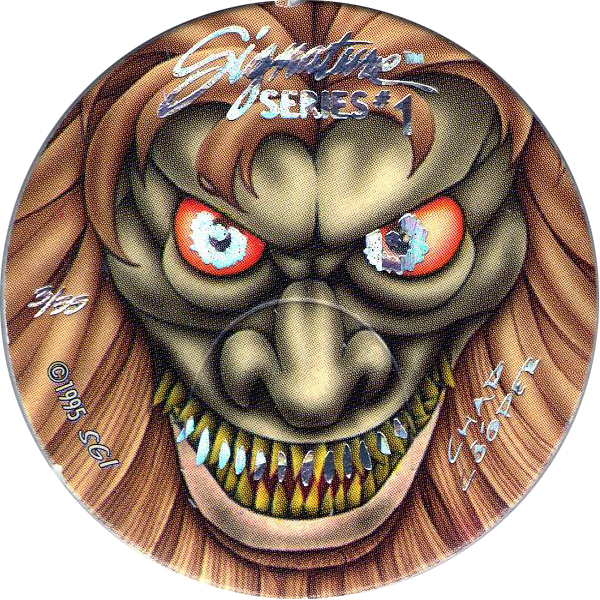 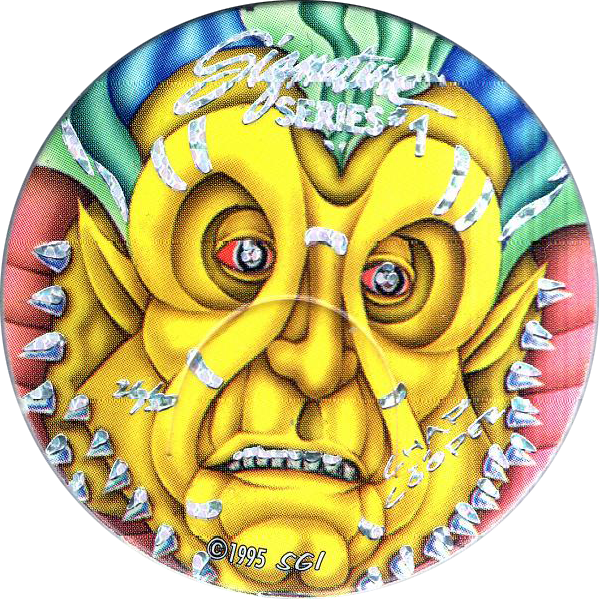 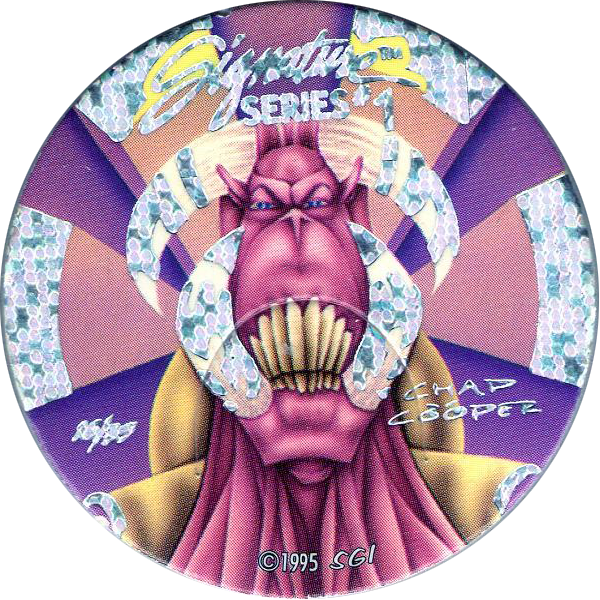 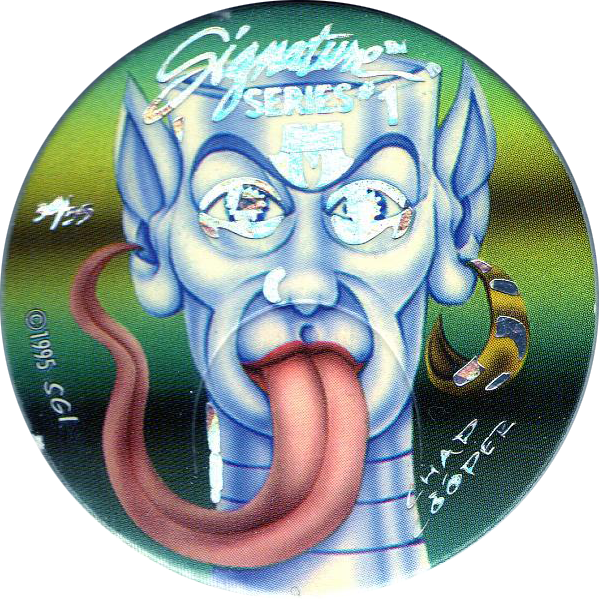 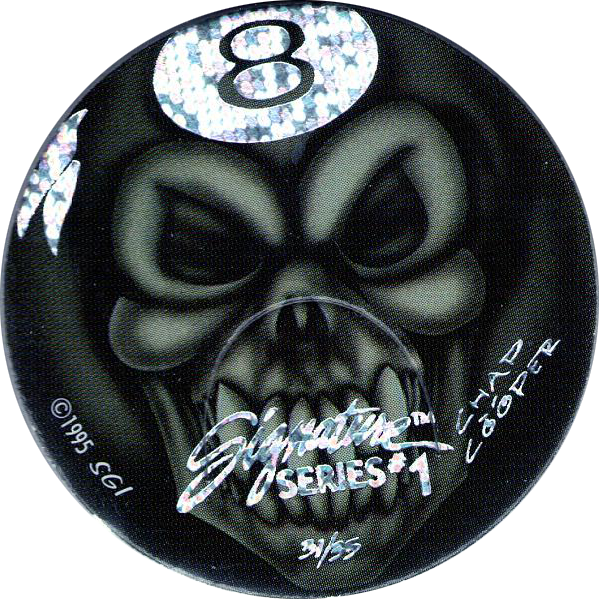 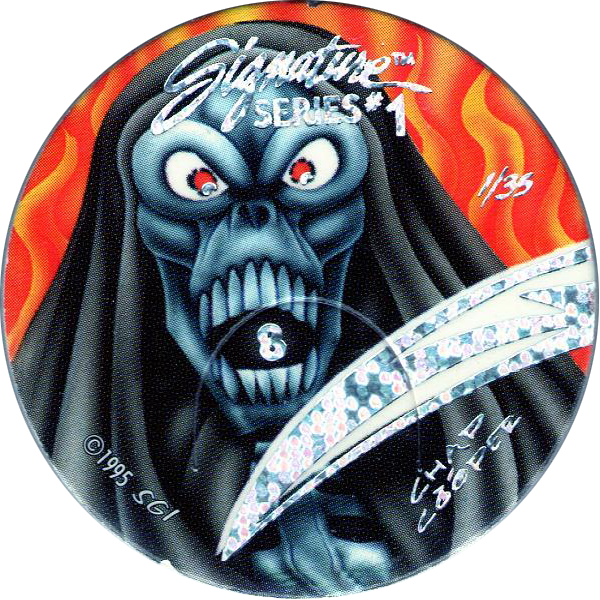 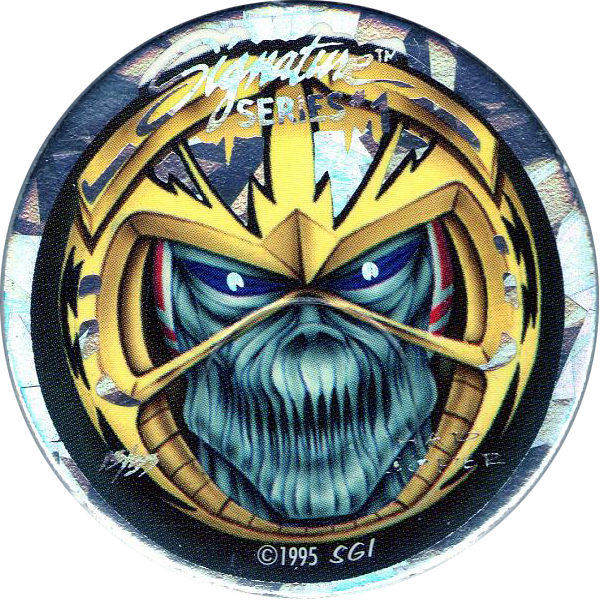 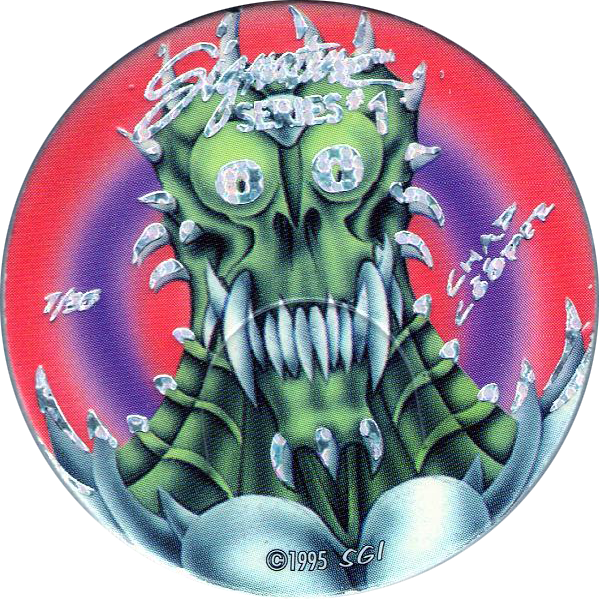 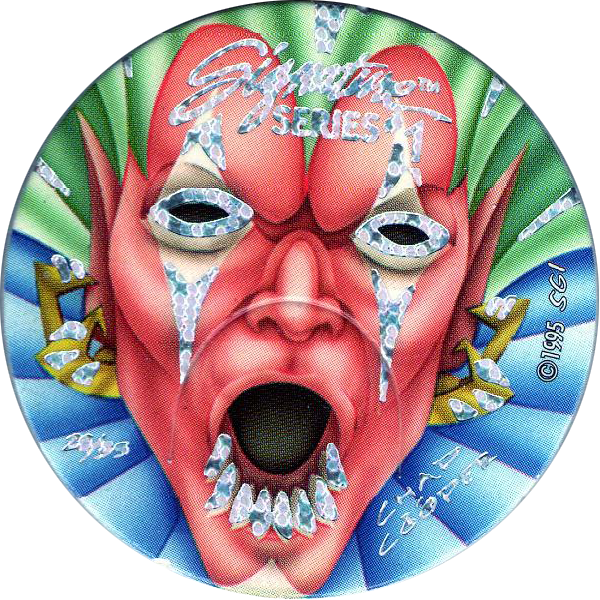 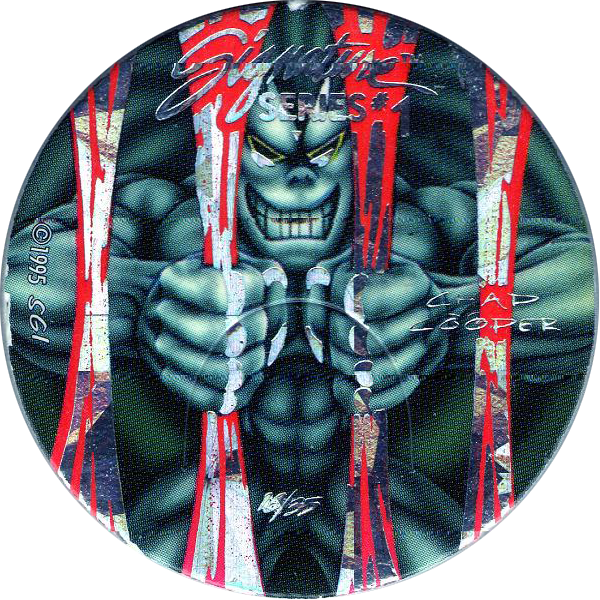 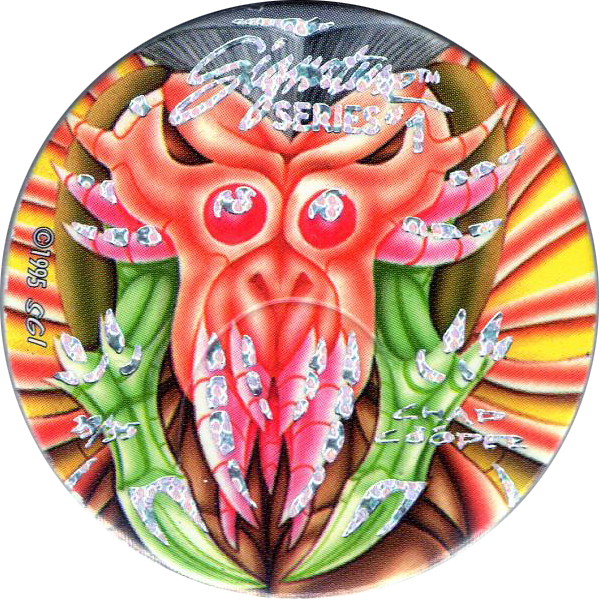 The pogs are numbered on the front, but the writing is in holographic foil and very difficult to read. 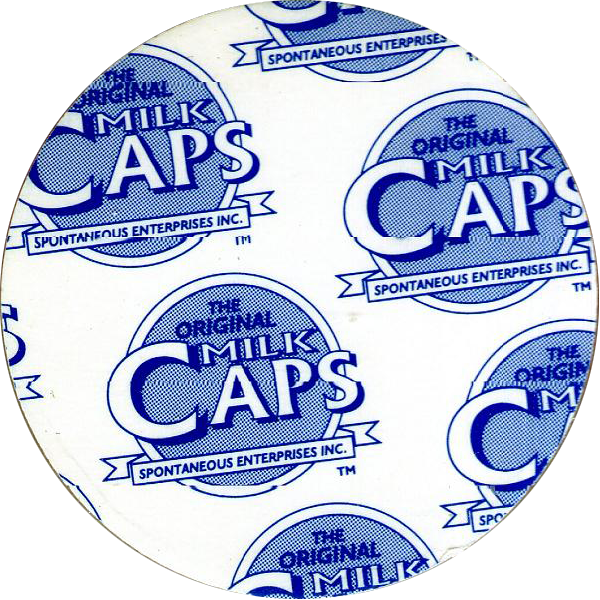 On the back each cap is the same, with a repeated 'The Original Milkcaps' logo. 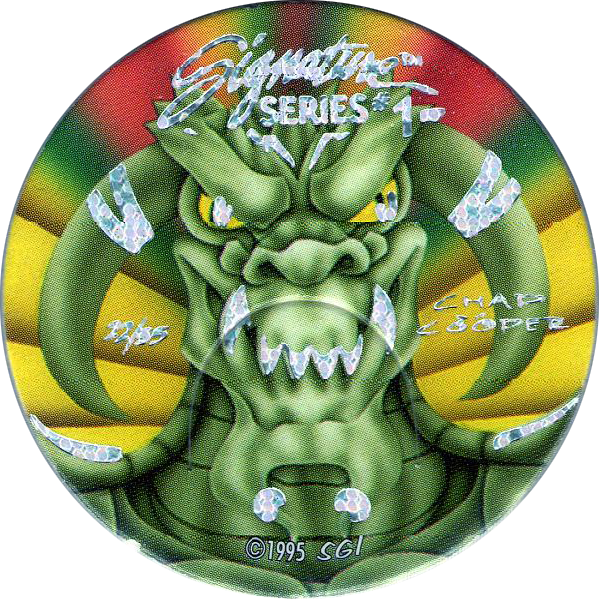 On this logo it says Spontaneous Enterprises Inc. but on the front of each cap the copyright notice mentions SGI. 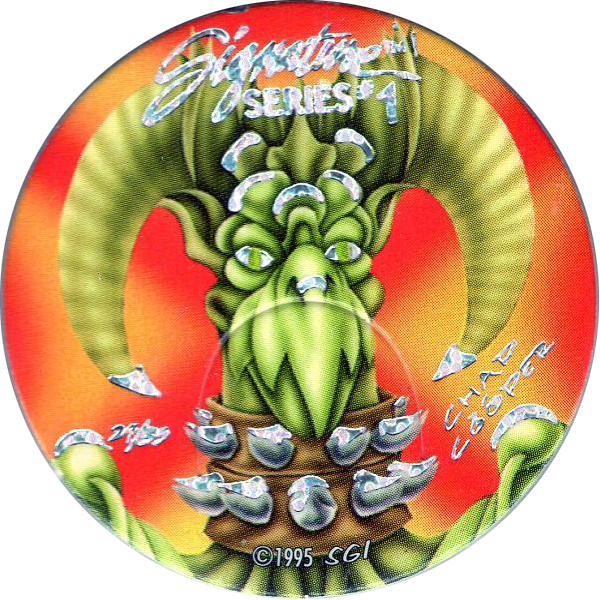 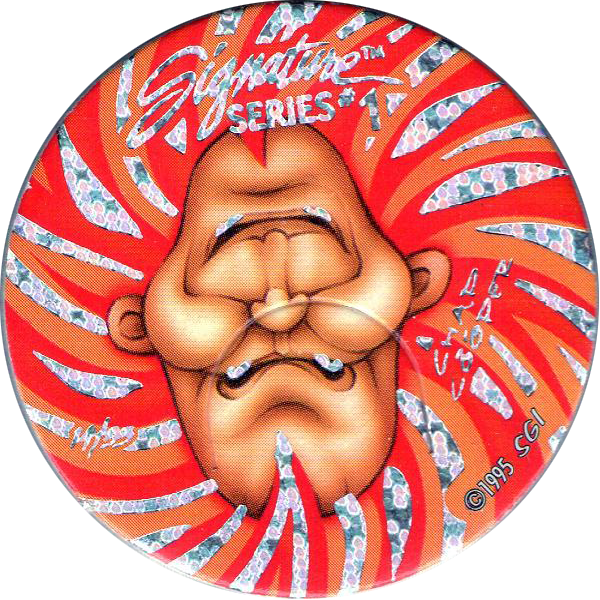 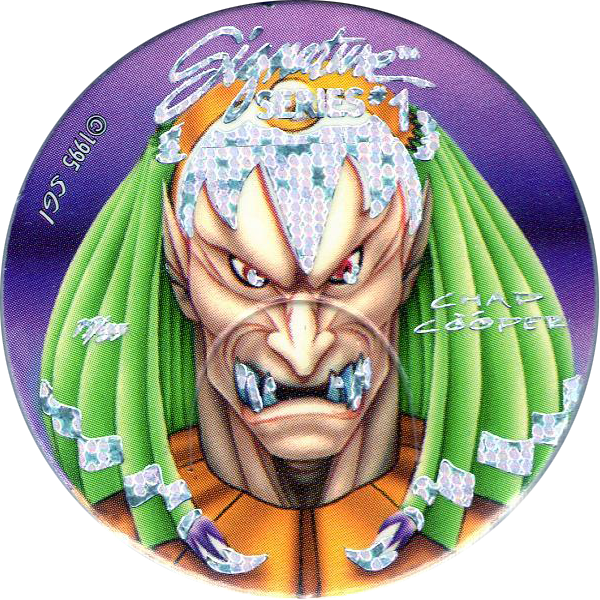 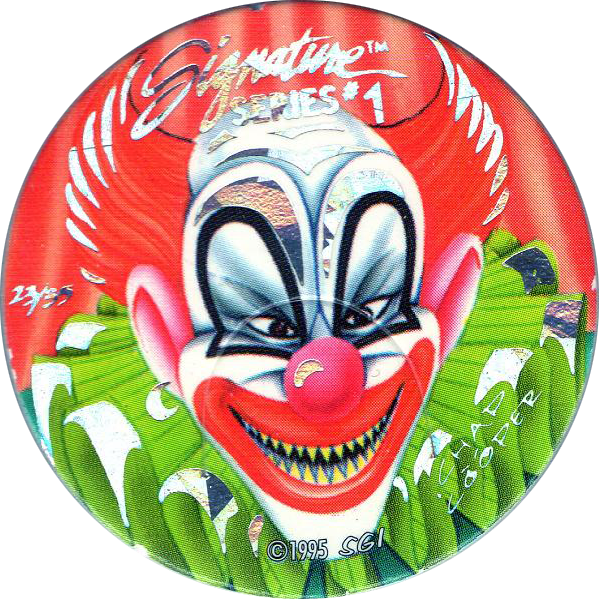 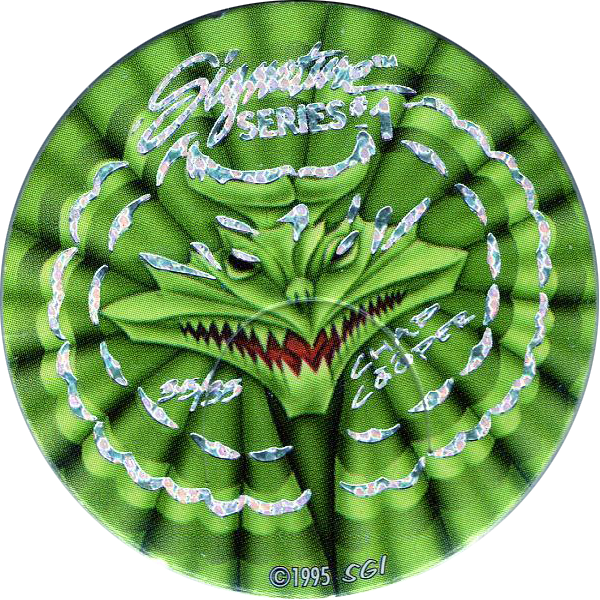 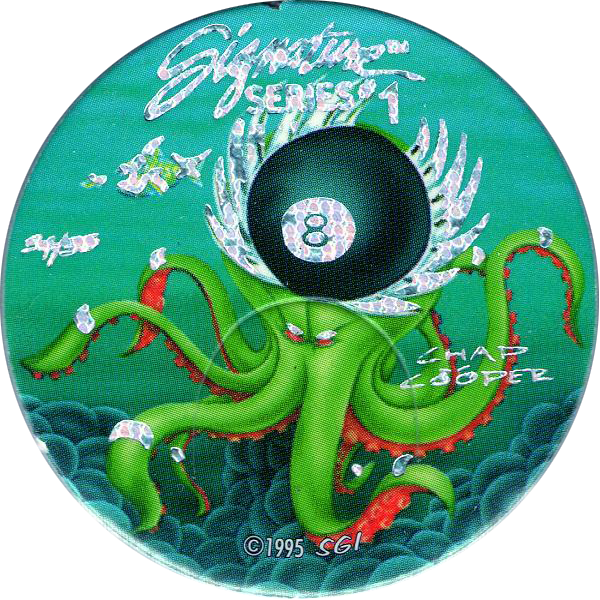 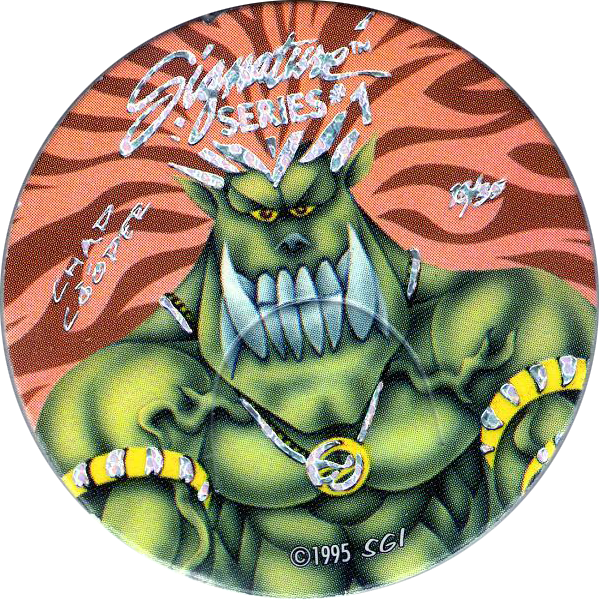 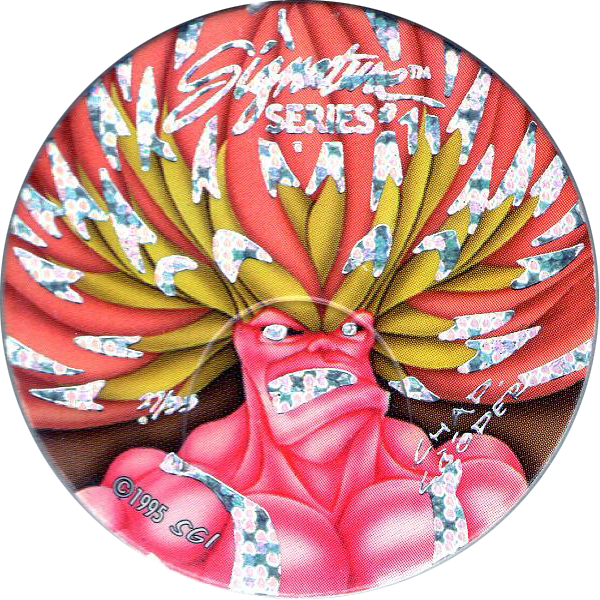 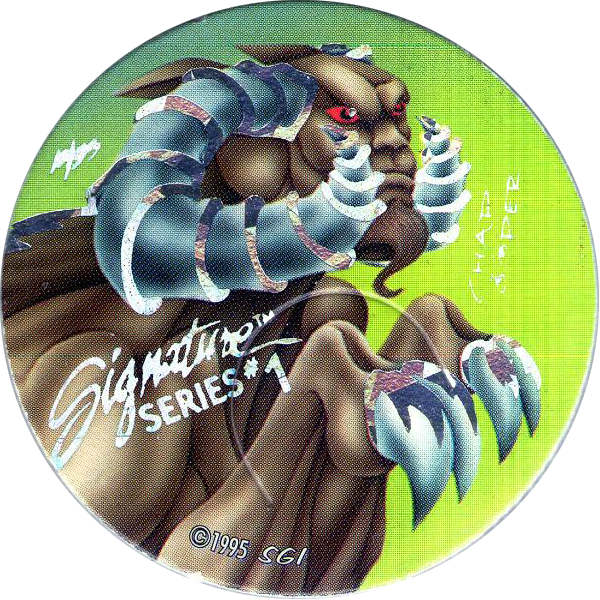 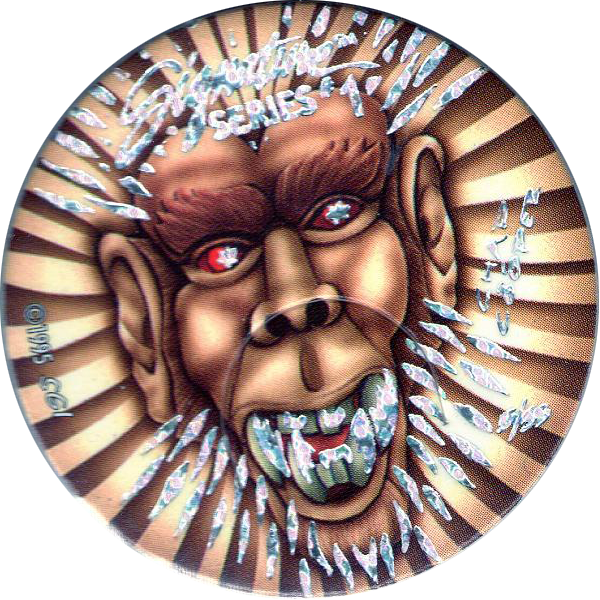 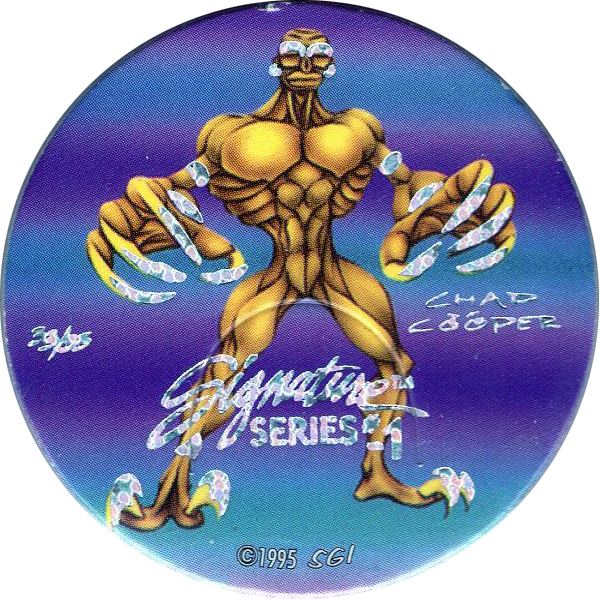 Thanks to Vincent for scans of the full set of 35 Spontaneous Milkcaps Signature Series 1 pogs below.